ISLAMABAD: The federal government has refused to take on the responsibility for repaying foreign loans being sought by Gilgit-Baltistan for energy projects, raising the spectre of a halt to international lending to the autonomous region. The issue was highlighted in a meeting of the Economic Coordination Committee (ECC) held in mid-August, according to sources. 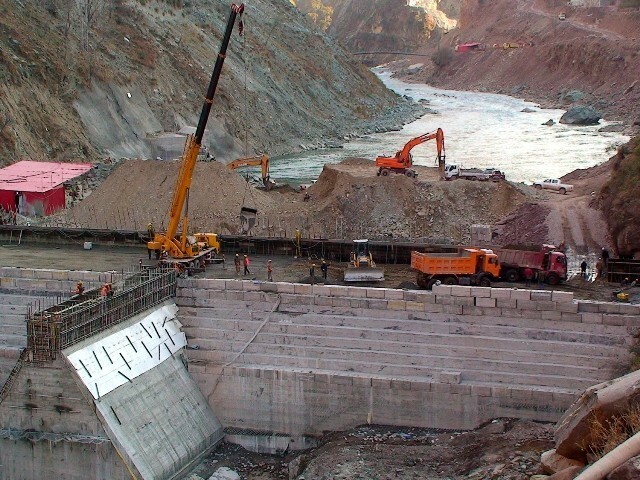 In an earlier meeting with the Asian Development Bank (ADB) for financing two hydroelectric power projects, approved by the Executive Committee of the National Economic Council (Ecnec), the matter of relending and repayment of loans by the Gilgit-Baltistan government also came up for discussion. One project is of 26 megawatts that will be developed in Shagharthang, Skardu and another is of 4MW to be constructed in Thack, Chilas. Gilgit-Baltistan is extremely rich in hydro resources, but electricity generation there is well below the potential. Hydropower projects with foreign financing are a necessity for the region. Meeting participants told the ECC that the Gilgit-Baltistan government was not in a position to repay foreign loans for the two projects and other foreign-funded projects in the future. Therefore, the government of Pakistan should take on such loans and pave the way for implementation of projects. They said the region had no financial resources and solely relied on the annual federal grant to finance its development plans and meet non-development expenditures. Gilgit-Baltistan neither has any taxation outlay nor gets any share from the National Finance Commission (NFC) Award. The revenue from sale of electricity is also meagre because of consumers being mostly domestic, absence of industry and lack of any income-generating activity in the area. The region is also not connected to the national grid. However, it is developing micro and small hydropower projects to meet its energy needs from the annual grant provided by the federal government. Gilgit-Baltistan is not a province as per the Constitution of Pakistan. It has been given administrative autonomy through the Self-empowerment and Governance Order (SEGO) 2009. To resolve the loan issue, government officials approached the Finance Division and Economic Affairs Division for their views, the ECC was told. According to sources, though the Finance Division had not yet come up with its views, the Economic Affairs Division replied that the two hydropower projects would apparently be a property of Gilgit-Baltistan and they were expected to generate revenues. Consequently, the region should be able to pay off the debt being taken for the construction of the projects. It would, therefore, be appropriate that the loans were forwarded to the entity that would be operating the projects as per the policy in vogue, it said. However, in the event that the projects did not, for any reason, produce the required revenues, the government of Pakistan should consider picking up the liability, it said. It was proposed that these projects should be exempted from the condition of relending. The ECC did not approve it.